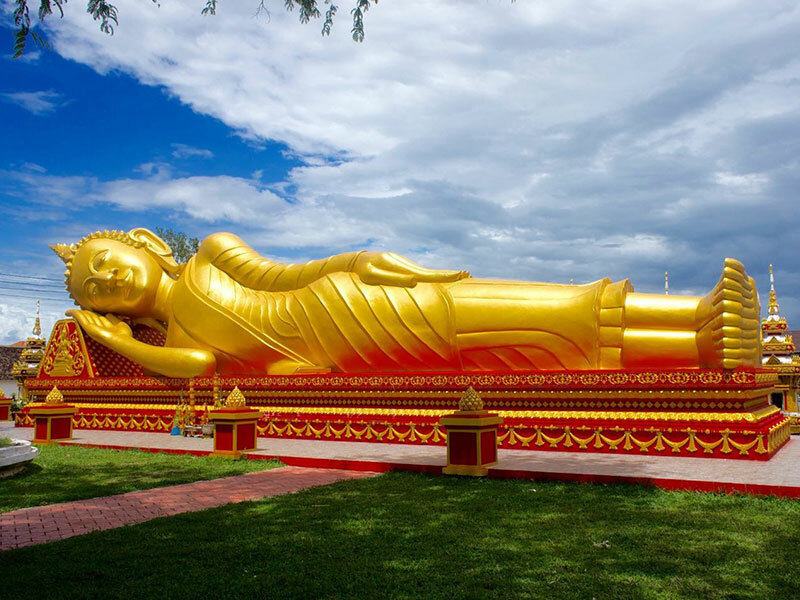 This tour visits the city’s historic temples and national monuments as well as the quirky Buddha Park. Cycling in the Vientiane traffic is a perfect way to explore he main attractions of the city, and then we make the transition from land to water as we kayak down the Mekong River back to Vientiane. Last day, our orchid trek will start to discover shade different forest types and learn many things on medicinal plants and other plant families. 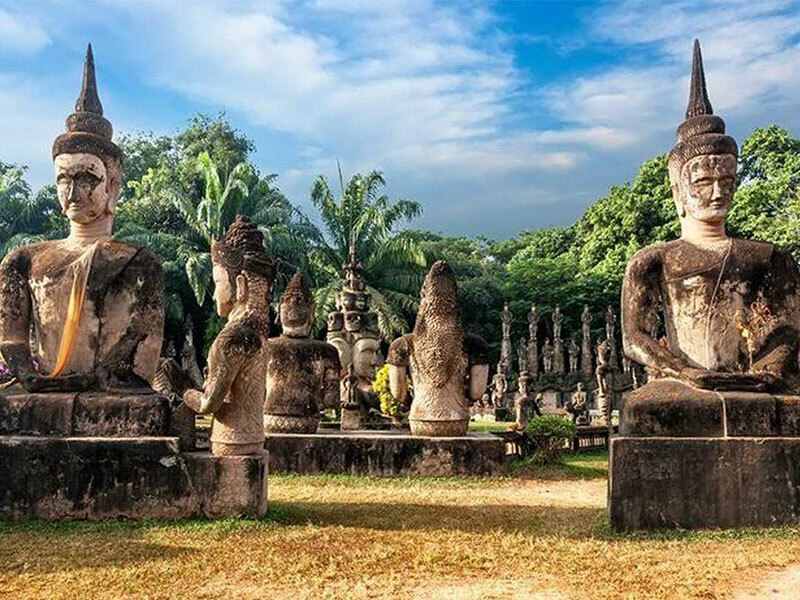 •	The city’s historic temples as Wat Si Muang, Wat Sisaket, Wat Phra Keo and That Luang stupa. •	Discover forest which near Ban Pha Say village. On arrival at the airport, you will be met and transferred to check in the hotel. The rest of the day is your own time at leisure. Overnight in Vientiane. 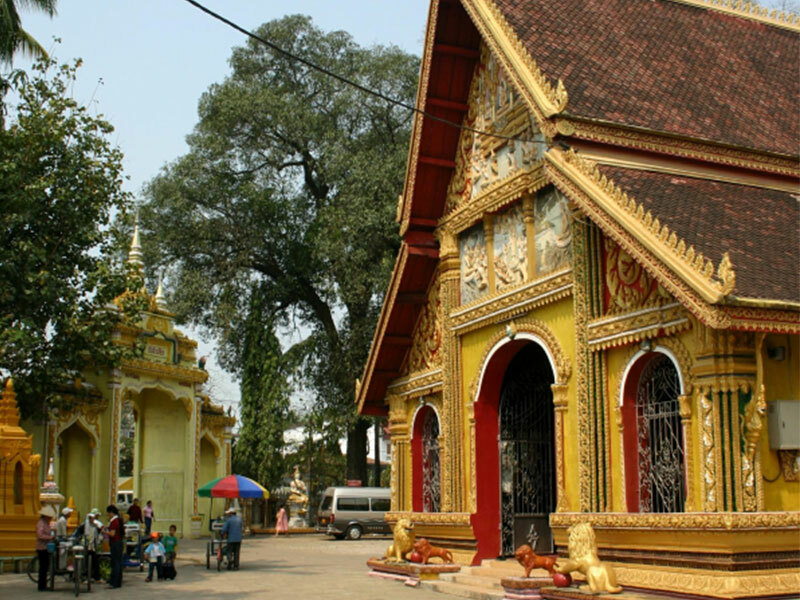 Start the afternoon with a visit to That Luang, the holiest site in Laos. 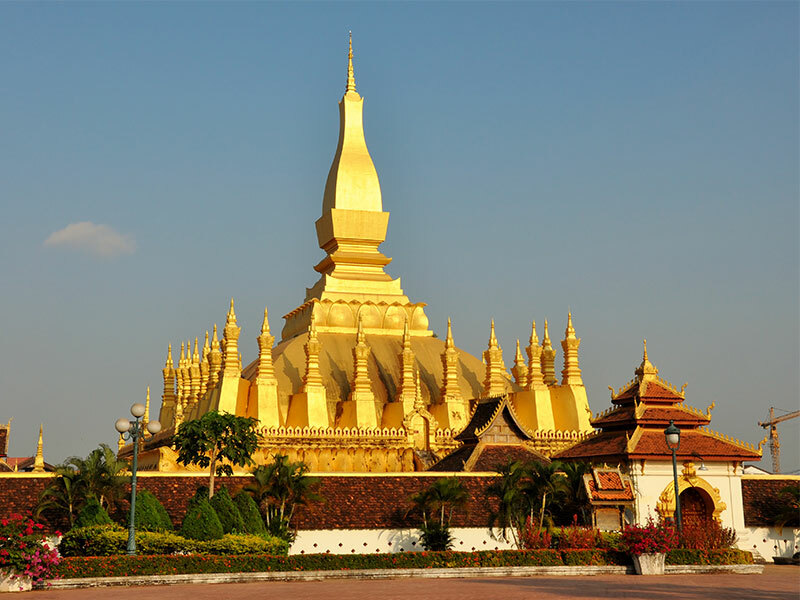 Constructed by King Setthethirat in the 16th century, the temple is resplendent as the sun is shines upon its towering golden spire. 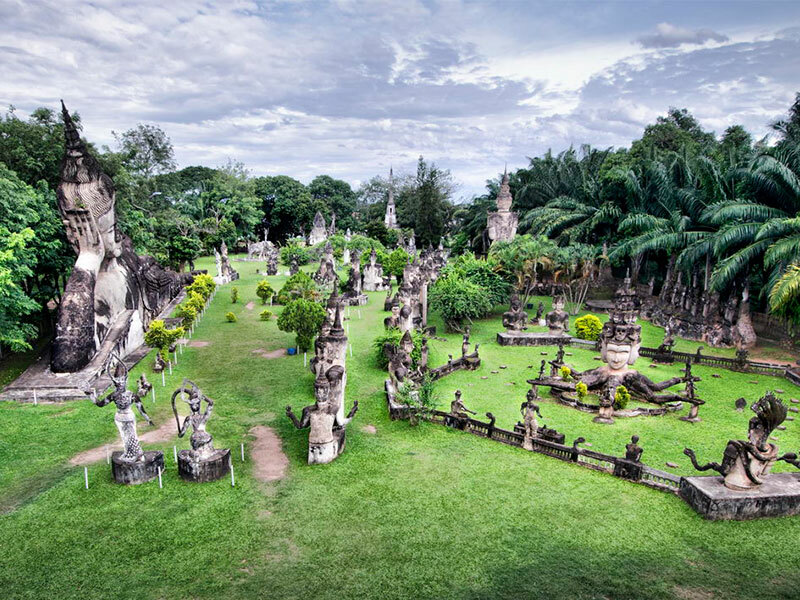 Then, enjoy a panoramic view over the city as you climb the stairs to the top of Patuxai, Vientiane’s own “Arc de Triomphe”. Continue down Lane Xang Avenue the serene Wat Sisaket, the only temple left intact after the Siamese (Thai) invasion in 1828. 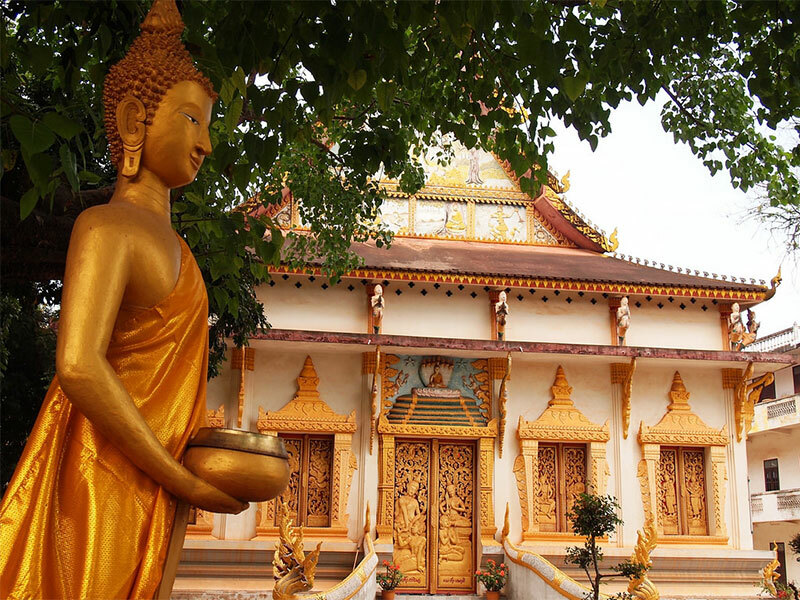 It is one of the most beautiful temples in the capital, and its breezy teak covered hallways are filled with thousands of miniature Buddha statues. 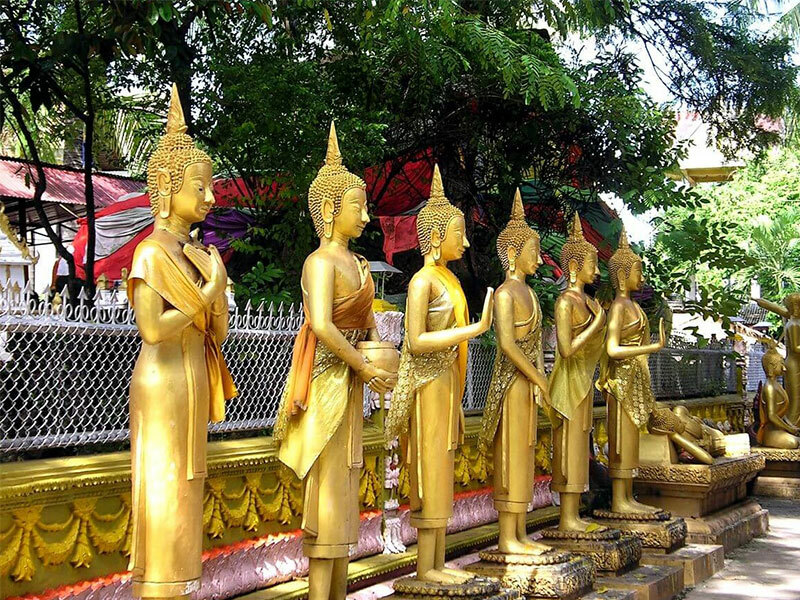 Continue on to the nearby Wat Phra Keo. 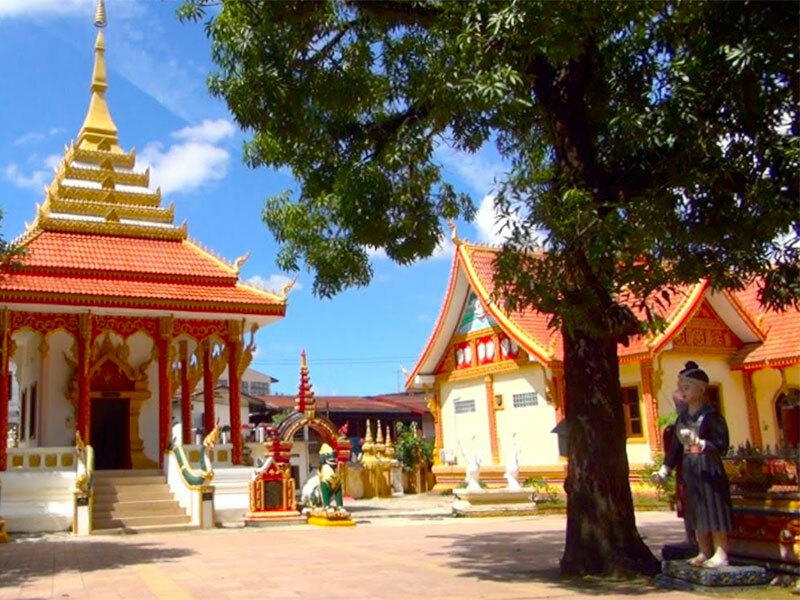 Used as a religious museum, Wat Phra Keo displays a collection of both Lao and Khmer works of art. Overnight in Vientiane. Our guide will pick you up at your hotel at around 09:00AM. From here the trip begins as we begin cycling out of the city. 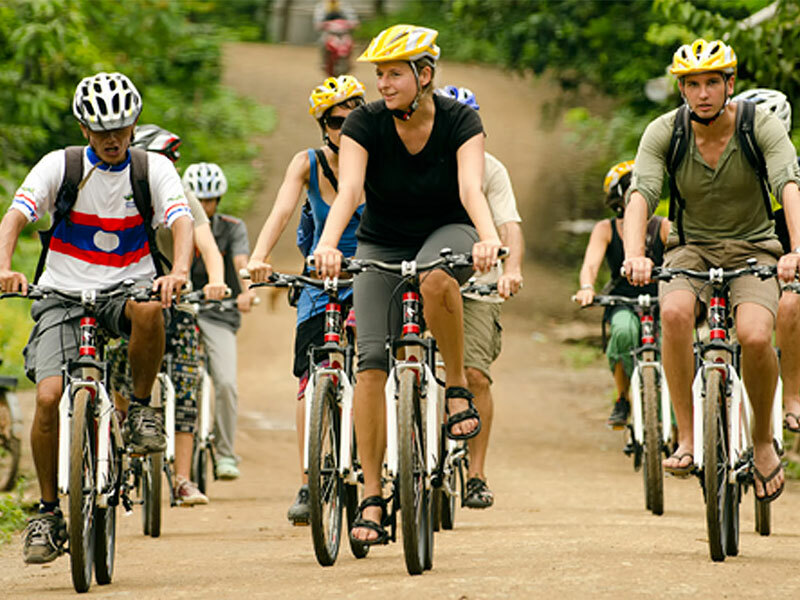 After a short while city quickly turns into countryside and we continue onwards cycling along the Mekong river where you can enjoy the beautiful views across the river and into neighboring Thailand. After a few KM it is time to turn off and head towards Ban Tongpong village. From the village we continue along the canal which takes its source from the nearby Mekong river and is used to irrigate nearby rice paddy fields. As we carry on cycling despite the relative close proximity to the bustling city you will certainly feel like you are a million miles away! Enjoy the peace and serenity as you watch the local people going about their everyday tasks. Carrying onwards we head through some dirt tracks which take us through rice fields and forest, the trail can get a little muddy and sandy along the way but really takes us away from everything and will immerse us in nature. Along the way we may see the local people tending to their rice paddy fields depending on the time of the year, the trail leads us back to a tarmac road, we head along the road for a while until arriving at Tad Moun waterfall which is a popular spot for the local people from Vientiane, the waterfall itself can actually completely dry up during the dry season however it is still worth a visit to see the different rock formations, at the waterfall we take some time for a quick break and enjoy a cold drink. From the waterfall we cycle along the main road which is freshly paved and very smooth yet relatively quiet in terms of traffic, we shall begin with a slight ascend which from there the remainder of the cycling takes us on a steady downhill until arriving in the village of Ban Mai which sits on the banks of the Mekong, it is here that we make the transition from land to water as we kayak down the Mekong River back to Vientiane. However before we hit the water it is time to enjoy lunch alongside the river, you will take a lunch of delicious sandwiches, crisps and fruit all washed down with a cold drink whilst your guide gets all the kayaks ready. 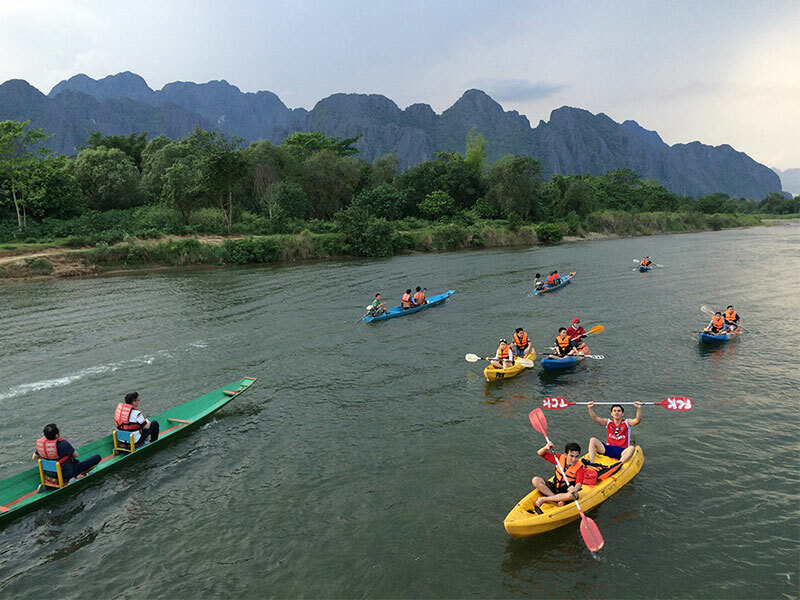 After your lunch and taking some time to relax you will wear your lifejackets and board your kayaks for the journey downstream back to Vientiane. 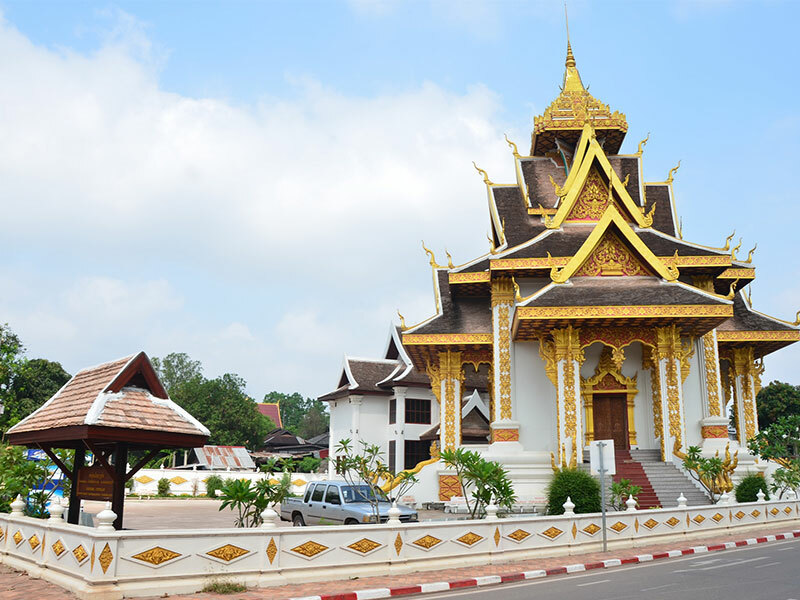 Along the way you will enjoy the scenery on both sides of the river as you head along the border between Laos and Thailand, of course staying on the Lao side during the entirety. The Mekong River is home to several river islands (‘Don’ in Lao) along the way we visit one of the largest ‘Don Xing Xou’ which is used as for farming taking advantage of the year round fertility, it is also home to a beautiful beach at the far end! We carry onwards kayaking down the Mekong until arriving back in Vientiane, the trip ends just outside the city centre next to a riverside bar, the perfect way to end the day by enjoying an ice cool beer next to the river. From here you will be collected via truck and taken back to your hotel in afternoon. Overnight in Vientiane. The picnic will be in the bed of a dry river any part of the year. 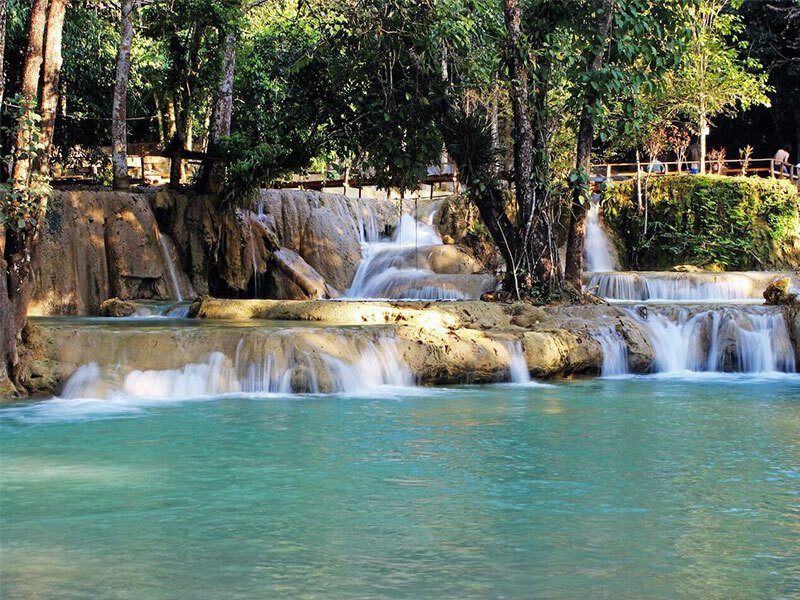 The afternoon will end with a swim at the waterfall of Tad Say before returning to the village. Back in Vientiane expected around 18h. Overnight in Vientiane. You are free to stroll around before taking the departure flight. End of services.